While the Spanish capital is known for its portico-lined Plaza Mayor, stunning monuments and esteemed art collections, Madrid’s treasures aren’t limited to the city center. On this daylong itinerary, escape the throngs of tourists by heading just north to culturally thriving neighborhoods like Chamberí and Salamanca. Begin in Chamberí with breakfast at Hotel Santo Mauro (Calle de Zurbano 36), housed in a mansion that once belonged to the Duke of Santo Mauro, a 19th-century noble and influential member of Madrid society. 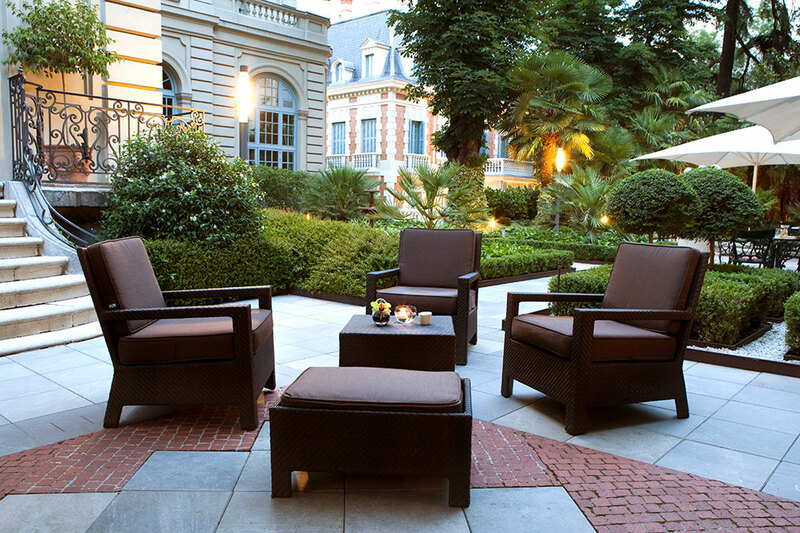 In addition to well-appointed rooms, the hotel boasts one of the city’s most delightful gardens. In the summertime, guests can have a leisurely outdoor breakfast there. After breakfast, stroll down Calle Zurbano, a street lined with grand homes, pastry shops and traditional cafés and bars where locals come to exchange neighborhood gossip. Located just a few blocks away is the house where Joaquín Sorolla, one of Spain’s most celebrated painters, lived with his family in the early 20th century. 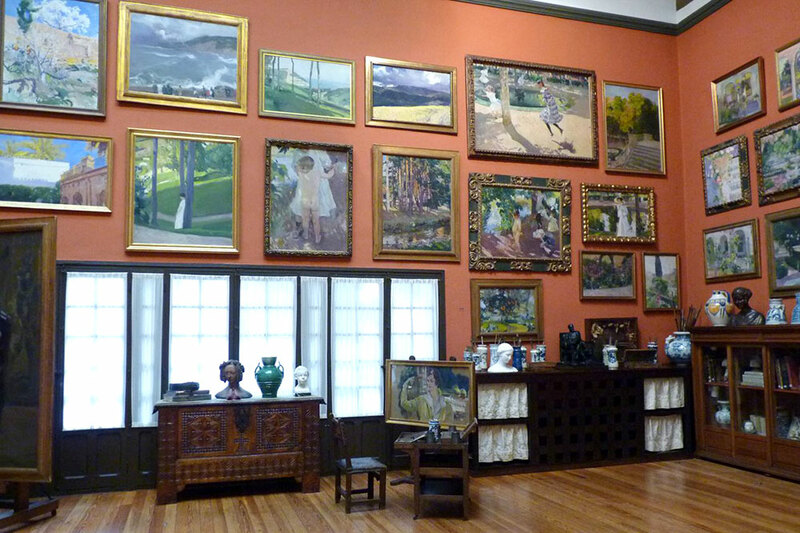 Today the property is home to Museo Sorolla (General Martínez Campos 37), a museum dedicated to preserving many of the home’s interiors as well as Sorolla’s brushes, palettes and paints. It also showcases one of the largest collections of the artist’s paintings, including many works featuring his signature depiction of the Mediterranean light. The gem of the museum is the garden Sorolla designed himself, a rare green refuge in the midst of a busy barrio. Follow the visit with a short walk to the Open Air Sculpture Museum (Paseo Castellana 40) located under the overpass that connects Juan Bravo and Eduardo Dado streets. Free and open to the public, the museum features works of pre- and post-World War II Spanish avant-garde works, including pieces by Joan Miró and Eduardo Chillida. After your museum visits, stop for lunch at nearby Ten Con Ten (Calle Ayala 6), located four blocks away in the upscale Salamanca barrio of the city. Hip Madrileños and Spanish celebrities flock to chef Sandro Silva’s restaurant to partake in market-fresh Asturian-inspired cuisine, with dishes like roasted octopus and monkfish with garlic scapes. Ten Con Ten is almost always fully booked so it is advisable to make a reservation. Keep in mind that lunchtime in Spain usually begins at 2 p.m. and ends at 4 p.m.
Next, explore nearby Serrano Street for high-end clothing, shoes and accessories. Here, you’ll find everything from the ubiquitous El Corte Inglés department store to luxury Spanish boutiques like Loewe and Carmina Shoemakers and international brands such as Gucci, Cartier and Prada. Another favorite street, just off Serrano, is Calle de Jorge Juan, where you can browse the boutiques of Pedro García, Isabel Marant and Cortana Madrid. To wrap up the day, stop at Platea (Calle Goya 7) for a drink and tapas. This multilevel food hall was a neighborhood movie theater until a 2015 renovation transformed it into Europe’s largest gastronomic nirvana. With nightly DJs and live music, this culinary emporium and entertainment center will keep you eating and drinking well into the early morning hours, giving you a true taste of Madrid and its love for the buena vida.